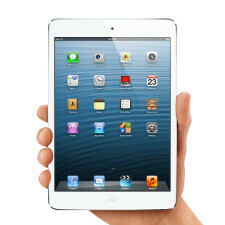 The LTE iPad mini and the newest fourth-generation iPad are now finally in stock at Verizon, AT&T and Sprint. While Apple has remained tight-lipped about the exact release date of the iPad mini with cellular data, now there is no need to guess anymore. After we first reported that the two Apple tablets have launched on Sprint earlier today, now Verizon and AT&T have also stocked up on the iOS gadgets. While Verizon is offering orders online (in scarce quantity), AT&T has the two tablets both in its online and brick-and-mortar stores. Shipping dates vary from a couple of days to two weeks depending on the carrier and the model that you want to order. Prices also vary depending on how you buy the device. If you pick the option to pay on a month-to-month basis for say the LTE iPad mini, prices start from $459, while AT&T offers 2-year contracts with a subsidy bringing down the starting price to $359.99. That powerful A6X chip! I want it! Me too! Can't we pay apple like a 100 dollars and exchange our devices for ipad 4s? I think so, if we can I mite do that. i thought they did that when the ipad 3 was released and you could traid in the ipad 2 and pay for the diffrence. eh either rather excited to see if there going to run any specials on it. They mite run some online specials, but I doubt they will n the stores. I still find my A5X too be plenty fast lol. The A6X chipset isn't making its way to the iP mini. Only the full-size Pad gets that love. Ok let's end it. I wish other android fans were like you. Thanks... Thats because i used an android smartphone and an iPod... Apple is really great in controlling quality honestly. Lets spread this peace message to other android users, ok? :) I really wanna end the war between hating android and iOS.... I was like them... immature... hating apple... I thought through already. every company has their weakness and strengths. U get nothing, but respect and agreement from me bro. I wish it could b that way, it's so pointless anyway cuz not one anti apple/google comment is going to change anyone's mind. I have dumped my PC and I never wanna back to any PC like devices (even a Mac) I use my iPad for everything and so a faster 9.7 ipad would be great for me and the chip inside- its no ordinary dual core chip- it's uses a custom CPU design to achieve quad core processor performance. Also I play a lot of graphic intense games so a 2X boost in graphics would be awesome (keep in mind that the iPad 3 already had a very powerful graphics processing unit). In fact this newer iPad blows nexus 10 out of the water in performance (except screen res). Some reviewers have even said that the nexus 10 display is of lower quality compared to apples ipad display. Who said nexus 10 is a bad tablet? It's awesome! And the fact that it is a nexus makes me wanna buy it. But I am used to ipad and I have owned an android tablet. Ipad is my preference. I know right.. Look at all the dislikes our peaceful messages and opinion changing generates! These fans need to grow up and be open to other products too! END THIS WAR BETWEEN IPHONE AND ANDROID! Raymond_htc has my respect. Scroll thru and read his posts to see what I mean. If you look at my posts from the old days they are immature and i have to admit it. We should stop calling each other fandroids, iFans, iSheeeeaaps.